Good: Basically everything if you like beat 'em ups. Bad: lypsynching really is the only bad point right now. Kicking Romans’ butts by the dozen might normally rather make you think of Asterix than anything else, but right now there is some competition with memorable story and characters who are also not afraid to show themselves in the midst of battle. Even without magic potions that make them unbeatable, they are certainly a force to be reckoned with. 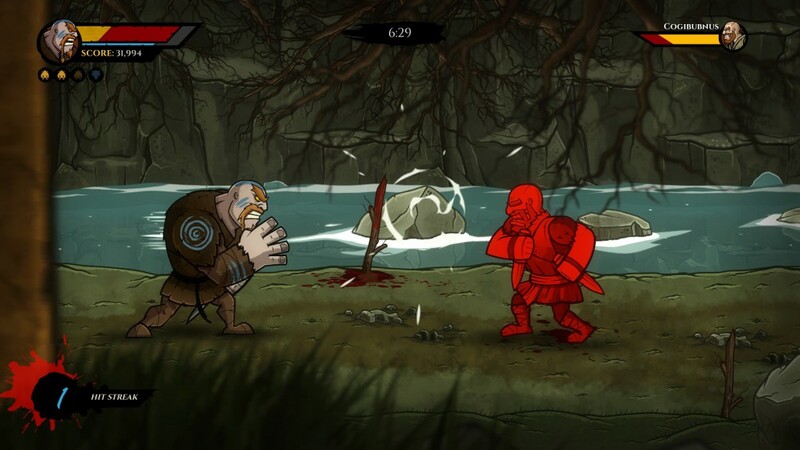 Enter the amazing beat ’em up world of Wulverblade and get ready to chop off some limbs to throw them at the next enemy while you defend your homeland. It’s the age of the Roman conquest. Rome is conquering the world with its vast armies, beating down savages and non-believers as they go. 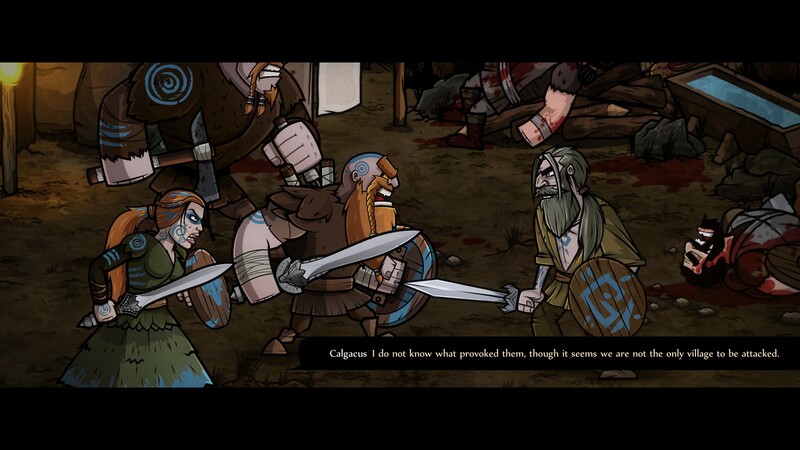 Wulverblade is the story about the invasion of Rome on Great-Britain (Britannia back then, 120AD). Because the Northlings offer such great resistance to the Romans, a vast army called the Ninth Legion is marching towards the North to cut down the resistance. Caradoc, Brennus, and Guinevere are three tribesmen (and woman) who are determined to keep their land theirs, using their special powers and strong characteristics to cut down any threats that they face. Along the way, they find many a great foe, but no challenge is too big for those who try to honor Caradoc’s father, Wulver. As an additional extra during the game, behind-the-scenes footage of the lands and features that helped inspire the creation and development of this game can be unlocked as you play, adding even more depth to an already awesome story. Amazing! No, but really, you could probably dislike the style the game is created in, or even have some comments about the lipsynching or the animations that are clearly done by animating keyframes and joints. But damn! This game looks amazing. There is barely any noticeable repetition in the level design, nor is there a moment you will get bored by whatever is happening around you. There are so many layers creating depth in whatever area you are strolling through, it’s hard to dislike anything at all. The game has something of an interactive movie because of this, and there are also many cutscenes giving depth and explaining some story. Not to mention the brutal effects and fights that are rather eye-popping, possibly making you feel like a total badass. Well done. Well done indeed! Original sound design can always make a great game even better and in this case, it does. Traditional orchestral music where horns and strings are being used makes for a great cinematic experience. The sound effects are very tight and on point with each slash, falling object or event happening. The voice acting is as good as any major game developer could bring forward. Your characters sound like they could have been from any Blizzard game involving dwarves such as World or Warcraft, and the enemies actually sound hurt when you hit them. If anybody ever wants to look at sound design this is a good modern game to study. 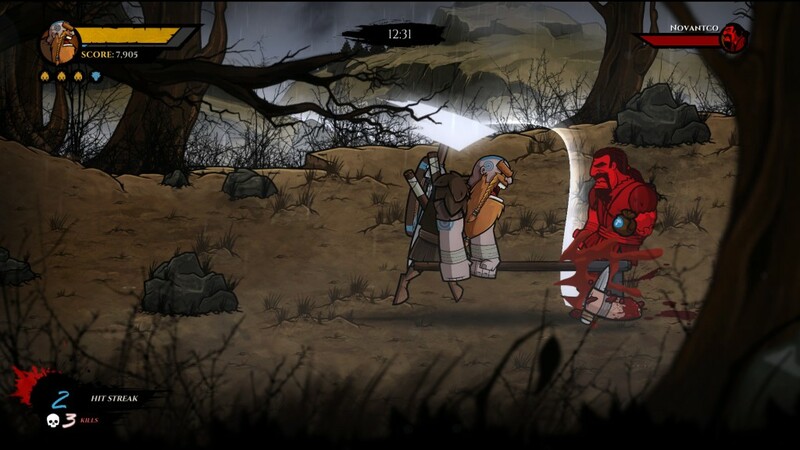 Wulverblade is as classic of a beat ’em up as they come. It has taken all the good working aspects from old games such as Golden Axe and molded them into something awesome. A word of advice if you want to play this game yourself: The game plays better when using a controller. A keyboard works, but doesn’t allow the same magic to happen as easily. The gameplay’s core essence is pretty straightforward. You keep walking to the right while you slaughter any enemy that comes your way. It’s gameplay that was created a lot back in the Sega Genesis and Super Nintendo era. You try to combo enemies down with slashes while taking as little damage as possible to make it to the end by blocking and dodging any incoming attacks. It’s been done before but because everything is done so well in this game it’s a heap of fun. Even replaying previously beaten levels does not seem boring at all, but rather gives you the opportunity to hone your skills, allowing you to manage more easily in harder levels. 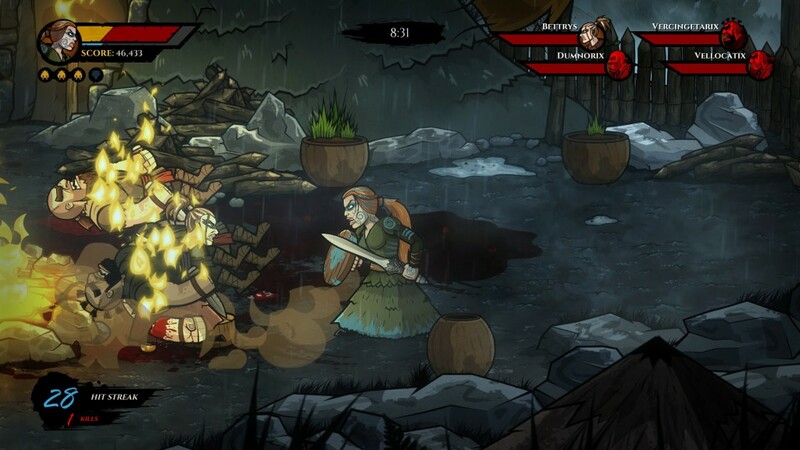 And yes, talking about difficulty, the game can have a steep learning curve for many players even though the gameplay is rather simple, but it’s fun for all players, whether you are skilled or a total newcomer, and you will get better eventually when you look closely at how each enemy is designed. You can pick between Caradoc, Brennus, and Guinevere. All three of these characters are total badass but with different stats. Guinevere is the most squishy but has the fastest attacks, Caradoc is the most balanced of the three, and Brennus is a giant son of a guy who will mainly use grapples to defeat his foes. Every character plays a bit differently and has strengths and weaknesses, making them a key part of the variation in gameplay. Especially in two player mode where you can combine the strengths of i.e. Guinevere by doing aerial attacks and finishing them off with Brennus when your enemy is on the ground, this works smooth and satisfying. The enemy design sometimes forces you to retreat for a few seconds or makes it awarding to block your opponent’s attack at precisely the right moment before you are able to make a devastating counter-attack. It’s the second part that creates a learning curve that’s still fun for all players. If you try to simply use brute force and smashing the slashing buttons, you might barely make it. If you try to use proper tactics and timed skills, however, you will notice the true potential this game has with its rewarding and well-crafted gameplay. It’s been a long time since any beat ’em up has been crafted so well. The era the story unfolds in, the depth in graphics, sound design and the proper gameplay together all forge a very gratifying indie experience. It’s clear that Darkwind Media and Fully Illustrated knew what they were doing and took their time to find out the best ways to create an experience all players could love, really putting themselves on the map with this one.